Add to MapgenBasic for use by multiple mapgens. Add to mgv5 and mgv7. Similar to mgvalleys caverns but half the scale. 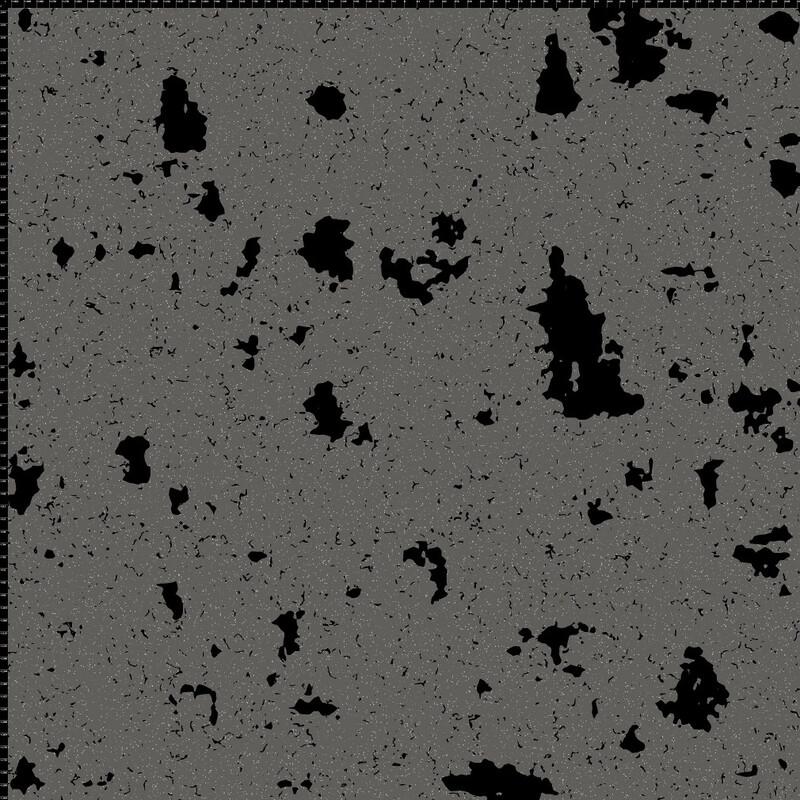 noise threshold (full cavern size). 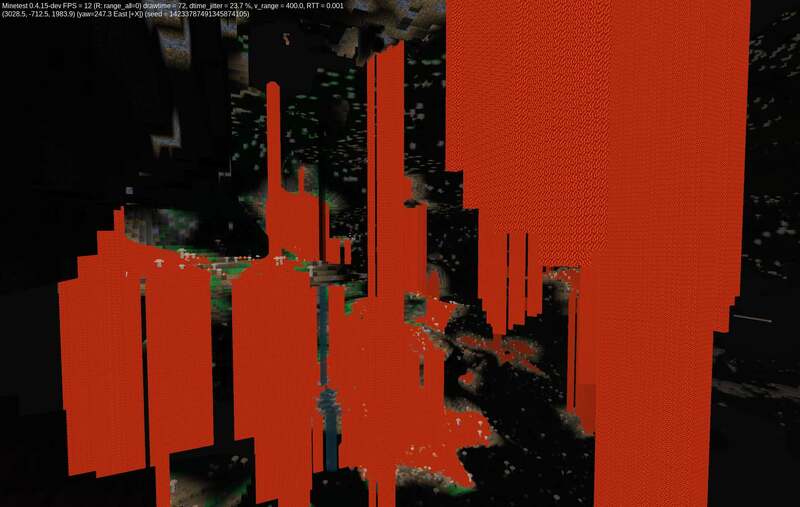 has overgenerated out into a neighbouring previously-generated mapchunk. I have noticed that the 3D noise giant caverns in mgvalleys are very popular, this PR adds these to MapgenBasic for use in any mapgen. In mgv7 there will be no performance problems because the 3D noises for mountains and rivers are not calculated underground, so i can add a cavern 3D noise. These are scaled smaller than the caverns in mgvalleys, big is good but 768 nodes is just too big for a cavern, the scale has been halved. Otherwise identical. 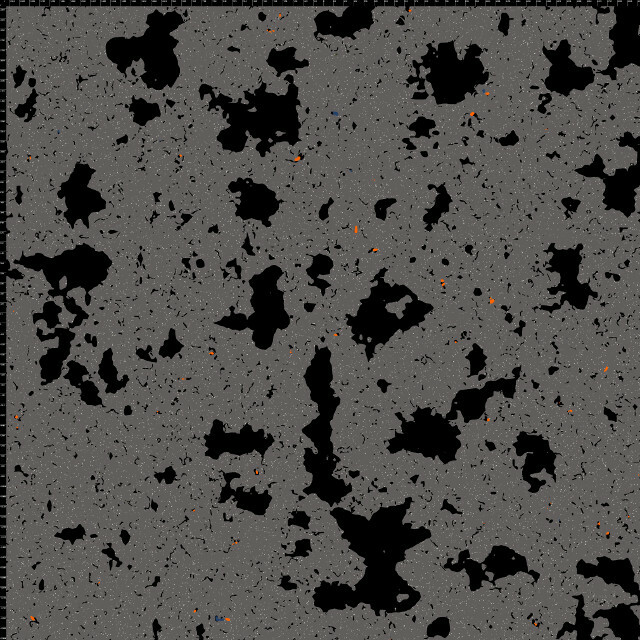 There are parameters for the upper limit of caverns (default -256), taper distance to full size (default 256) and the noise threshold (size of caverns and what proportion of the underground volume they take up). Where is this memory freed/delete'd? Oh crap i forgot, thanks. So you're suggesting the noise objects are created according to the options, i have no idea if that's ok, maybe. Yeah I am :) If it's not used then there is no point is wasting RAM. Is there? What do you mean edit an earlier commit? You already have by fixing the mem leak I noticed. I mean if there are 2 commits i don't know how to edit commit 1, here i fixed stuff because there is only 1 commit and i used git commit --amend. Since i will need to make noise objects optional in the other mapgens it's better i do them all in 1 PR separate from this. I agree, and will fix all mapgens. bigfoot547 the issue is linked in the first post. Now deletes the new noise, huge thanks to Zeno-. The sheer amount of liquids flowing into the caverns, too much for my taste, but if players are happy with that then i'm ok with it. Making liquid caves rarer would not be acceptable due to how that affects gameplay away from caverns. More importantly, floating blobs of liquid where a large cave has overgenerated into a neighbouring mapchunk, this creates a pillar of liquid in the cavern. I might be able to solve the 2nd issue by disallowing the classic large caves from placing nodes in air nodes, it would be pointless to replace air with air, and replacing air with liquid may not be necessary. +			// Avoids too much liquid in large caverns. Tested. This works well, now only rarely will a liquid cave intersect a cavern, or a liquid flow down a tunnel into a cavern, when it does happen the nature of liquid spread means there will be plenty of liquid. Seems to be ready for merge. WIP i need to consider the default parameters, like what proportion of ground should be cavern. How deep should these be? 512 seems reasonable and challenging but maybe 256 makes the world more interesting earlier for players? @paramat I like y: 256. I have no idea how people even get to ores. Just thought, i can have them atart at -256 then gradually grow in size to full size at -512 so there is some kind of progression. With these 3D tunnels it's sometimes possible to walk to -512 it's not very difficult. Have done that, but also added a 'cavern_taper' parameter to control the distance they taper to full size. Still need to tune the full size. 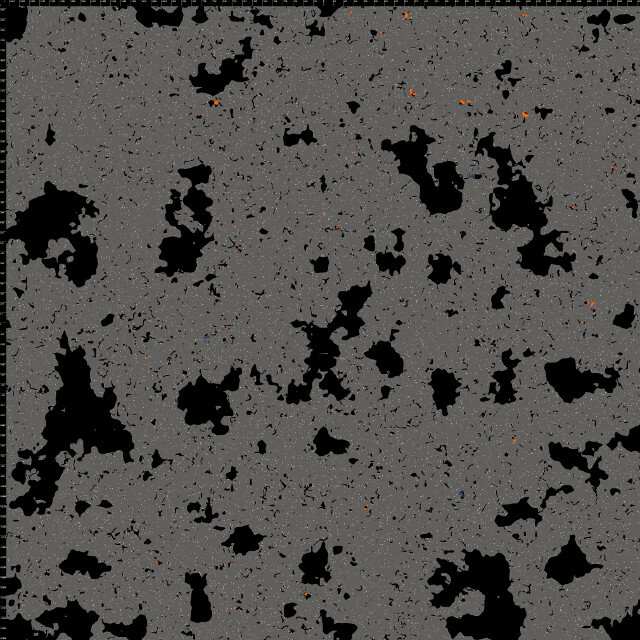 ^ Ths is a 1-node-high slice of full cavern size with threshold 0.8, covering 4000x4000 nodes. I think more common is needed, underground caves need to be a little more common than a map visually suggests, because it's so easy to miss caves underground. I'll try 0.7. Another dev has that view too, so no mgflat for now. I am updating the PR to add these to MapgenBasic for use in multiple mapgens: mgv5, mgv7, mgfractal. Threshold 0.65, i'm going with this. mgvalleys uses 0.6. Updated with cavern generation moved in to MapgenBasic, the place for code used by multiple mapgens. Currently works in mgv7 only, other mapgens coming. Need to see if default enabled would add these to (and therefore break) existing worlds, i would prefer default enabled. Docs come last just before merge. Added to mgv5. For this commit i prefer to add to mgv5 and mgv7 only, i'm unsure about mgflat and mgfractal, those can be added to easily in the future. If this PR sets caverns to be enabled by default, a pre-existing world will have it's mgv7_spflags overriden and caverns will be enabled in that world, breaking that world. before using the new engine version with this PR merged. I would prefer to enable caverns by default, but even if we announce this in the forum it is very likely some will not use that setting to avoid breakage. What do you think? Safer to keep these disabled by default, at least at first? Enabling them later has less risk of breaking worlds. Currently this PR has caverns disabled by default in both mapgens. WIP still needs docs but is ready for review. I actually don't have strong feelings about this and I am not sure what to say. Maybe you should ask the forums if you are not sure. By break i mean newly generated parts of a world will have caverns while older parts will not, some users may be ok with that but it's still breakage. There will be flat walls on chunk borders as these cross many borders. But then, mgv5 and mgv7 are not officially stable and we recently had some straight biome borders appear. But then a lot of people miss this new feature. Isn't it possible to enable at new generated maps and disable on existing? I tried but in testing when a new flag is added and enabled by default, it is added as enabled to old worlds too. Overall, these cavers look nice and should definitely be enabled by default for new created worlds, disabled for existing ones. Using a threshold of 0.65 looks a too frequently to me. I'd prefer 0.7 or even slightly higher to make them 1) smaller and 2) more a joy when finding a cavern. should definitely be enabled by default for new created worlds, disabled for existing ones. That's what i prefer, but it can't be done automatically. I'm thinking we could warn users to use the setting above #5382 (comment) before updating their engine. I admit i have been unsure about 0.65 or 0.7 too, the maps are a 1 node slice, seen from the side the structures are squashed by a factor of 3 so are easier to find than the map suggests. I'll go with 0.7. 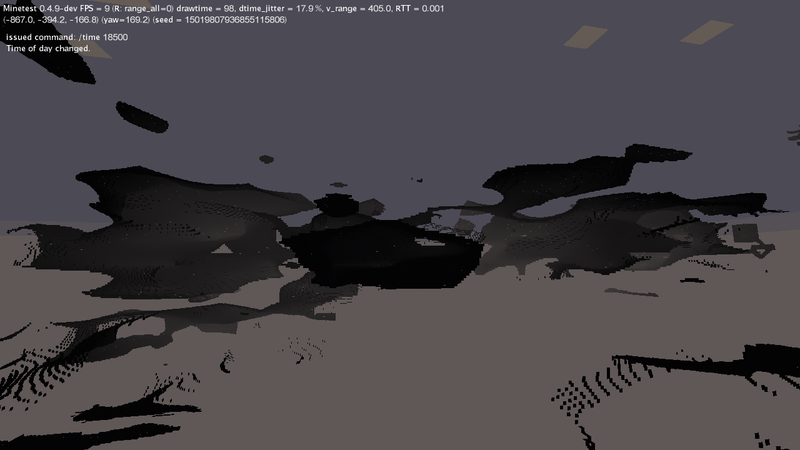 Generated another map of 0.7 to be sure, this is dense enough. Updated to 0.7 and caverns enbled by default. Only docs to do, will add once this gets some approval. @Zeno- are you able to approve? Add to mgv5 and mgv7, enabled by default. Docs added and advanced menu tested.